. :: COF Village Girl Freebie ::. 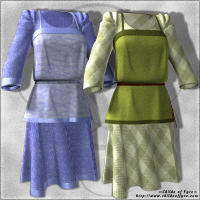 This is a small texture set for the Village Girl dress over on RuntimeDNA. There are 4 styles included. It's Poser 5+ only due to procedural texture settings. NOT tested in Daz Studio! It's probably not very useable in Studio due to the Poser procedurals, sorry. If you like the textures included in this freebie, I do also have a larger texture package available for sale over in my C.P. storefront. You can find that Right Here. There are 14 more texture sets for this dress in that pack. I have since moved my "Village Variety" product into my freebie section after closing my old store on Content Paradise. 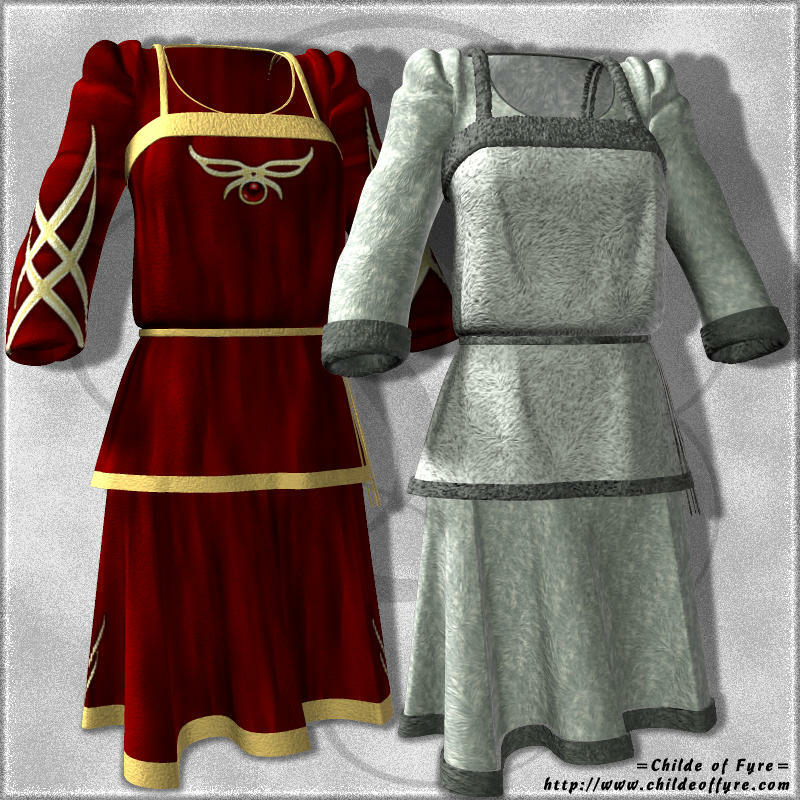 The former CP product contained 14 more textures for this dress. It is now a freebie on my Clothing page. If you want the additional 14 textures, you can find that page Right Here.